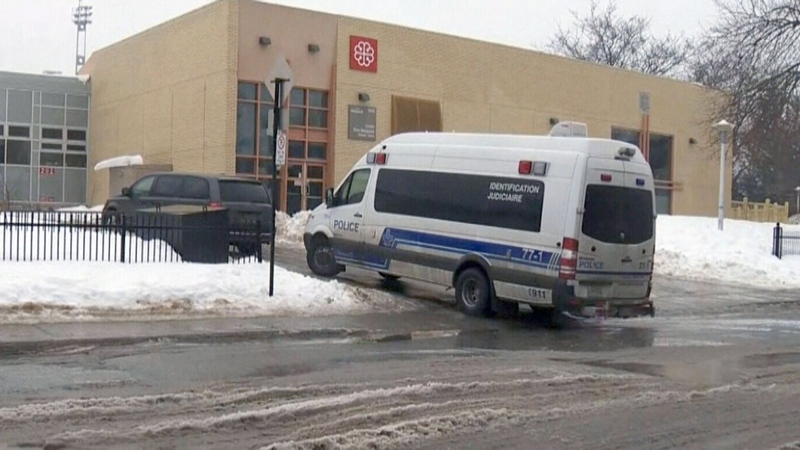 MONTREAL -- A Montreal teen who drowned during a high school gym class spent 38 minutes at the bottom of the pool without anyone noticing, a coroner's investigation has found. Dr. Louis Normandin's report into the death last February of Blessing Claude Moukoko reveals a troubling lack of supervision. "Blessing Claude Moukoko was left alone at the bottom of the pool ... and this, because there wasn't a lifeguard essentially dedicated to their function," Normandin wrote in the report made public Tuesday. Like many of the 19 Ecole Pere-Marquette students in the class, Moukoko, 14, was just learning to swim. He was taking part in his third swim class as part of a high school gym course the morning of Feb. 15. He was last seen struggling to do the crawl, and no one noticed the Grade 8 student's absence when the class left the pool deck. It was only when a second class arrived that they saw what they thought was a dummy at the bottom of the municipal pool, which is adjacent to the school in the city's Rosemont district. The coroner described security video of the pool from that morning as unsettling. "People are walking around the pool deck, the water is calm, so calm in fact, they have the impression -- the students in the second course -- that they see a dummy in the bottom of the pool," he said at a news conference. "The lifeguard understands, dives, calls for help." Normandin recommended that any gym teacher giving swim lessons receive the training required by the province and that a lifeguard provide full-time surveillance during all courses. If it isn't possible to have one person teaching and another keeping watch, Normandin recommended school swimming lessons be suspended. "Nobody had ill intentions in this story," Normandin said. "However, the swimming course, in my opinion, must be given by those who are deemed competent." The coroner found that the teacher -- a substitute that day -- did not have the training required by the province. As a result, the lifeguard was helping teach rather than being in the chair to watch over the students in the pool. In his first class, Moukoko did not venture into the deep end. His friends later told authorities he struggled to stay afloat, becoming short of breath and often grabbing the side of the pool. Normandin said the video confirmed his inability to swim. "The precariousness of the situation as he reaches the deep part of the pool is obvious," Normandin wrote. Normandin said water safety, not the acquisition of technical swimming skills, should be the primary goal of swimming lessons in schools. He recommended the province integrate the Lifesaving Society's Swim to Survive program into the curriculum -- a basic training that teaches people what to do in the event of an unexpected fall into deep water. Raynald Hawkins, executive director of the Quebec Lifesaving Society, welcomed the recommendation. "This is an evaluation so that when they follow a learn to swim program, the kids have the minimum skills and requirements in case they go on the deep side of the swimming pool," Hawkins said. The school board said in a statement it acknowledges the coroner's recommendations and will put in place the necessary measures. 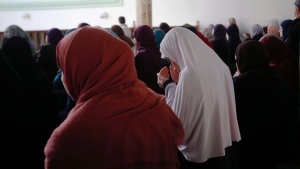 "Our duty is to do our utmost to strengthen our practices to prevent such events from happening again," Commission scolaire de Montreal chairwoman Catherine Harel Bourdon said. In Quebec City, Isabelle Charest, junior education minister, said it is too soon to start cancel swimming classes. "I don't think we need to suspend the courses. We can start to work without stopping everything," Charest said, calling the death extremely tragic. A 14-year-old boy was pulled from the bottom of the pool at the Pere Marquette Centre on Feb. 16, 2018. He died one week later.